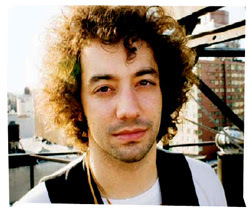 Albert Hammond Jr. is without a doubt the coolest Strokes. Even NME magazine agrees and has listed Albert at number 24 in their cool list of the year 2006. Do I see any other Strokes in that list? No, and that’s just saying something. 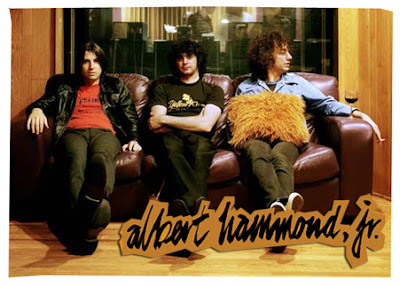 It’s been a while that Albert has come out with his solo album called Yours to Keep; it was released at the end of 2006. But, in this part of the region, not many people know of it or are aware of it, so it never is too late to write about his solo project. Now, I’m not gonna lie and say if you love Strokes music, you’ll definitely love Albert’s new album, because that’s not the way it works. In fact, if you don’t know Albert, and you listen to him, you’ll be shocked to learn that he’s actually a member of the Strokes, because his sound is just so different from the band both musically and lyrically. I have a feeling that this is gonna get pretty long, but these are purely my thoughts on Albert Hammond Jr., so be it. The album certainly has some good solid music like the first released single ‘101’, and ‘Scared’ which features a cameo appearance by Julian Casablancas. It also includes some other familiar tunes that Albert originally wrote for the Strokes Europe Tour DVD such as ‘In Transit’ being the DVD’s title and ‘Everyone Get’s a Star’. But, as soon as you start listening to his other songs like ‘Bright Young Thing’ and ‘Call an Ambulance’, it’s definitely Albert all the way and in no way could you possibly relate it to the Strokes. Except for the background music during the chorus in ‘Bright Young Thing’; that was the same music that was used in the infamous ‘hash scene’ in the DVD. ‘Call an Ambulance’ is such a fun song to listen to, from the very simple and honest lyrics like, ‘I go to talk to her coz…I wanna sleep with her’ to the infectious ‘Lala…lala’ at the end of the chorus. It’s fun watching Albert perform, and now he’s touring with his own, I’m not gonna say band cause that’s implying something else, more like – friends, so to speak. 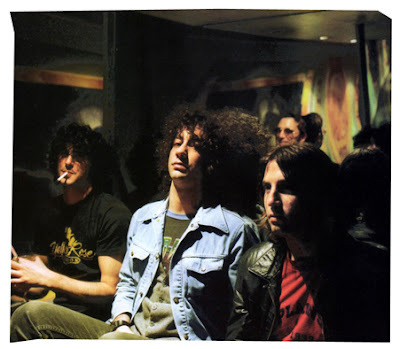 You look at him perform, and you know he’s enjoying himself and his songs, but then again, Albert has always been that way even while he was in the Strokes. I mean you look at Julian and you go…. It’s like reason #4576 to like the Strokes – or Albert, either one. Although he maybe a good song-writer but he’s not really the best singer I’ve ever heard, but because he’s Albert, so all is forgiven (either way, we still love you Albert). So, I’m actually glad because if there was anyone from the Strokes that would’ve come out with a solo album, I’d prefer Albert because if it was anyone else like Nick or Fab…, I’m not sure. What’s the most mind boggling thing of all – to me, that is – is that Albert’s song (fun, cheery, almost cheesy) is the exact opposite of the Strokes music (depressing, loud, personal lyrics) but at the same time, ironically, those fun, cheery, almost cheesy music is what painfully reminds me of the Strokes as a band. All thanks to the ‘In Transit’ DVD. This is the best acoustic live version of 'Everyone Get's a Star that I've ever heard. Enjoy.